NOW! Go through the whole Bible with Pastor Jack. 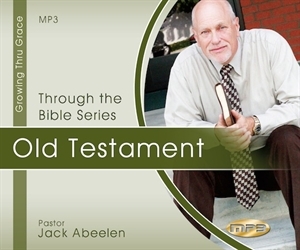 By recording to the MP3 format, we are able to offer our "THROUGH THE BIBLE" packages at a greatly reduced price. To order all of the studies offered on both the New Testament and Old Testament sets on regular CDs or tapes would cost over $4,500.00 dollars. Now you can add all of them to your personal library for under $250.00. Pastor Jack is clearly being used by the Lord to teach us the Bible thoroughly, accurately in a way which fuels ones interest . These MP3 files are truly a blessing to anyone who takes the time to listen to them. I encourage you to get them, listen to them and apply what they teach.